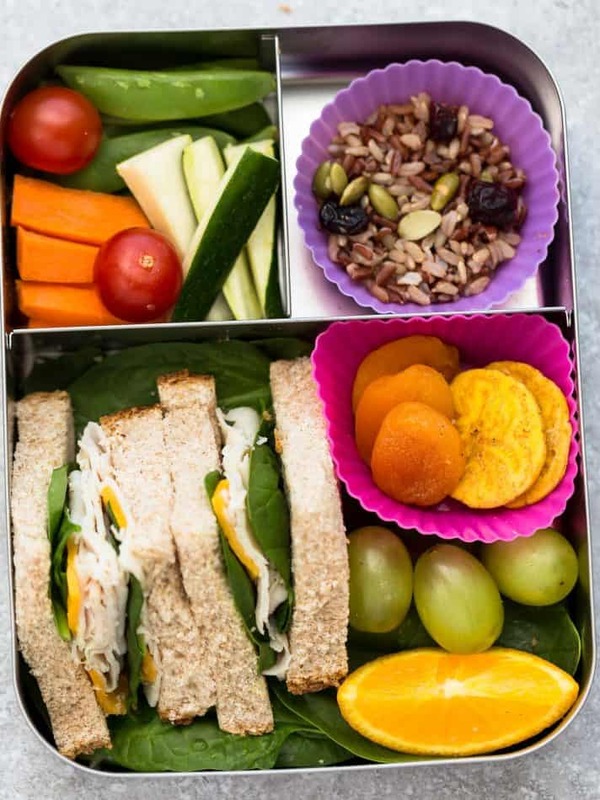 6 Healthy School Lunches (Easy & Kid-Friendly) that are perfect for picking eaters to start the new year. Best of all, tons of ideas for nut-free, dairy-free and gluten free options. Everything can be served chilled or at room temperature – no heating or microwave needed. The holidays are over and most of the kids have headed back to school from the winter break. 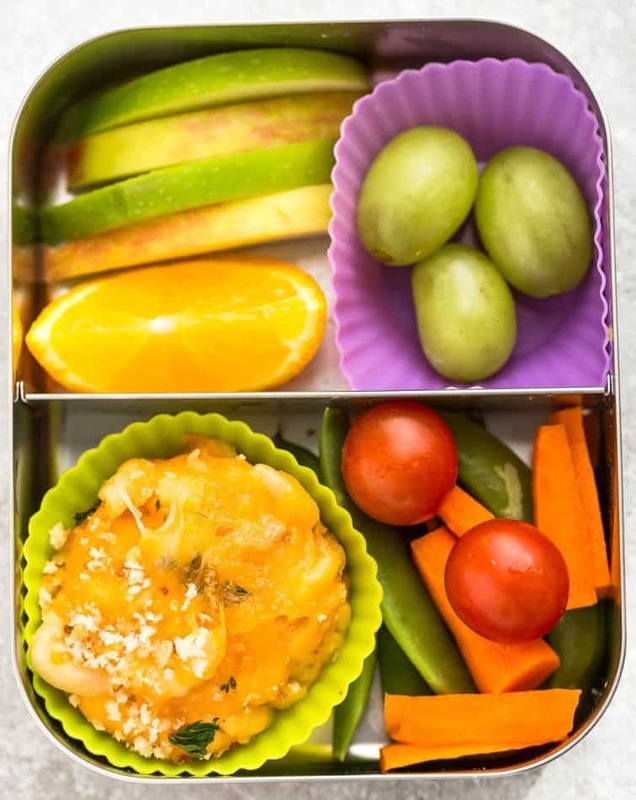 Like many parents, we can start to run out of new ideas when it comes to packing school lunches for your kids. The new year is a great time to switch things up and get creative apart from the regular peanut butter and jelly sandwich. 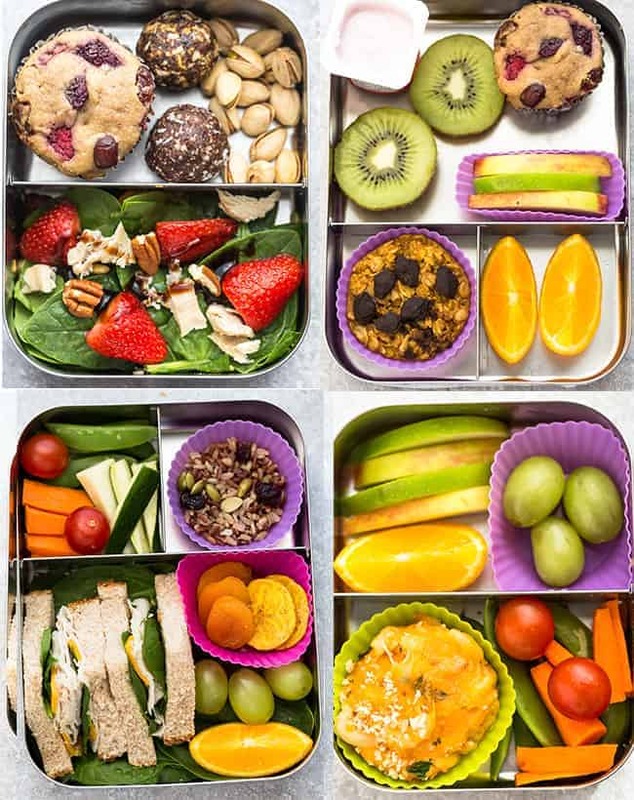 It’s a great time to meal prep a large batch so you can revamp a few leftovers for special lunches for your kids. For this post, I’m using the LunchBots Trio and LunchBots Classic Duo. I love the design, quality and size of these boxes. Separate compartments let you pack different foods in one container. Only the highest-quality 18/8 stainless steel comes into contact with your food. Dishwasher safe and virtually unbreakable. Optional snap-on, plastic Dots cover adds color and style. Duo food containers are not leak proof. Please pack dry foods only. 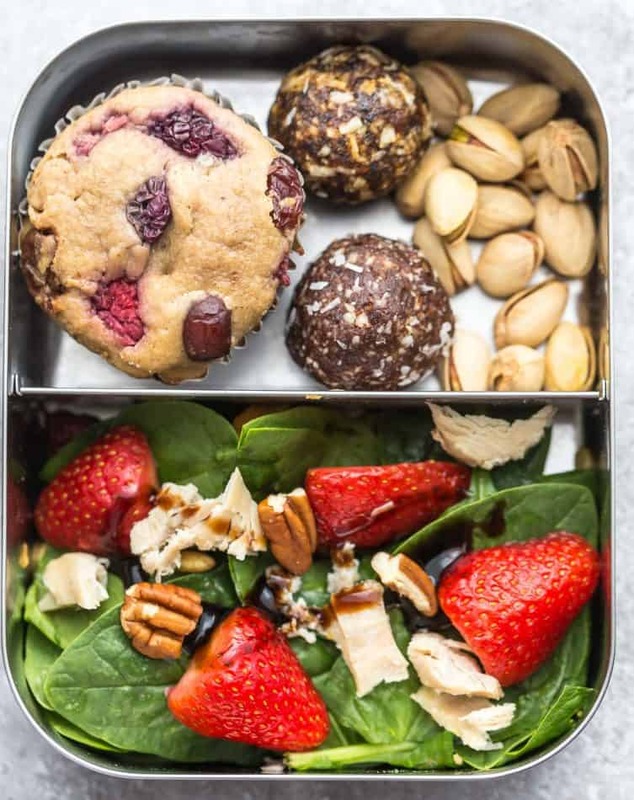 Make lunches ahead of time at night and portion off any dried snacks that keep well on Sundays for the rest of the week. Include a variety so your child doesn’t get bored. Switch things up and pair different snacks, fruits, carbs and protein. Leftovers like muffins, pasta salad or chilled sesame noodles are some great choices. 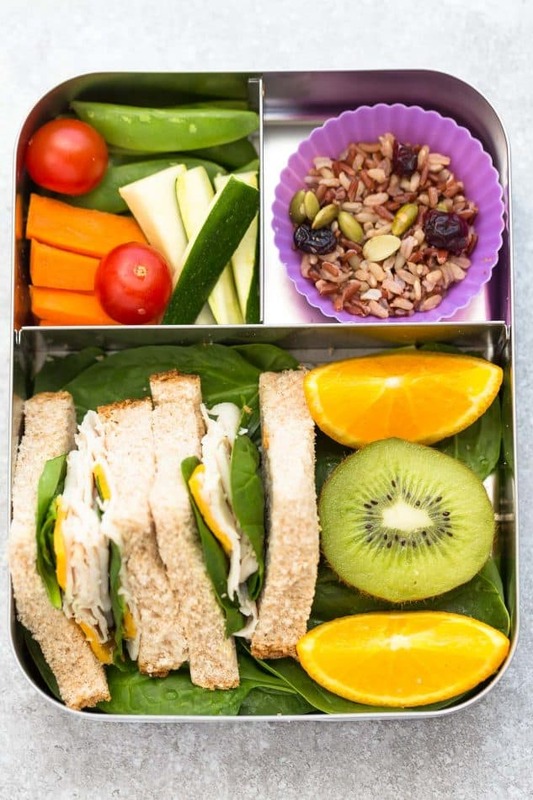 Having a lunchbox with separate compartments and / or liners will help you remember to include all the components of a balanced meal. 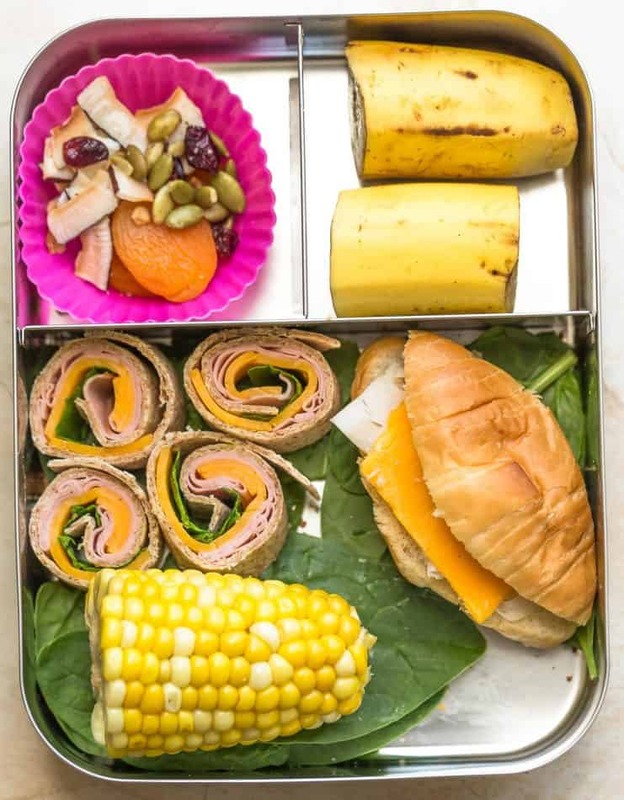 Keeping your grains, protein, fruit and veggies separated also makes it fun for the kids when they open up their lunchboxes. It’s also perfect for picky eaters that don’t like various food to touch. Many items will keep at room temperature but be aware of which will require an ice pack to stay cool. Also make sure that you are aware of any peanut or other food restrictions that the school might have in place. 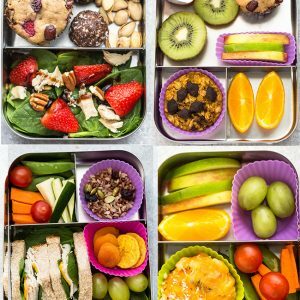 6 Healthy School Lunches (Easy & Kid-Friendly) that are perfect for picking eaters to start the new year. Best of all, tons of ideas for nut-free, dairy-free and gluten-free options. Everything can be served chilled or at room temperature - no heating or microwave needed. 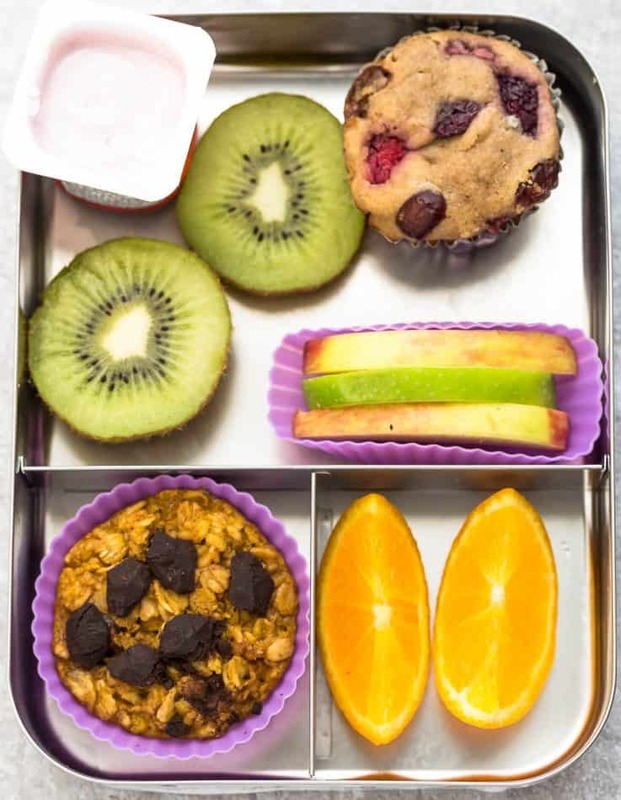 Include a variety of ingredients from each category and divide into lunchboxes.